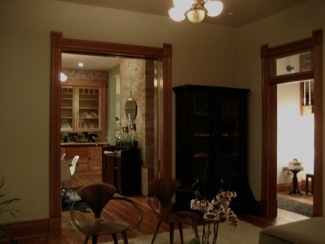 This historic home rental is about life-style and neighborhood. 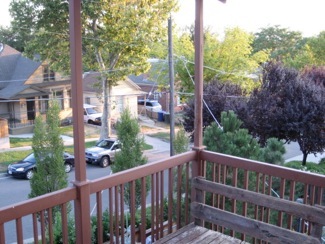 The West Capitol / Marmalade area is a fantastic place to live and one of the safest neighborhoods in the valley. 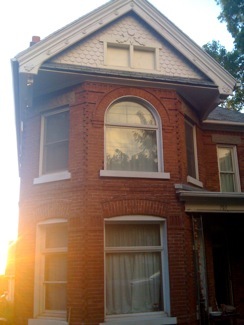 This grand house sits on a corner lot with an amazing view of a beautiful old yellow brick church built in 1907. Featuring vaulted ceilings, historic elements, fenced yard, a charming pergola, garden spaces, fireplaces, a huge master bedroom, and much more. This home really has it all. This walkable neighborhood offers a local market just 1 block North and new retail development just 2 blocks away. Downtown or freeway access is just moments away by car. House built by Mrs. Lucy Bigelow Young, one of Brigham Young's many ladies. Construction begain in 1892 and completed in 1893. This home built in 1892 by Lucy Bigelow Young Witt. Front of house at sunset. View of the home from corner. Click here to read the history of the Mrs. L. B. Young home. Also known as "Lucy." 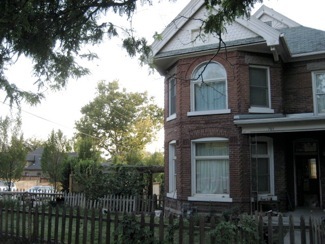 Just blocks away from downtown Salt Lake City this home features a ample living space and historic appeal. Recently remodeled, this home features large and open living spaces. 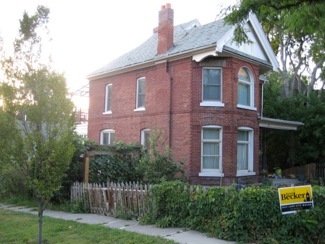 This home is on the national historic registry. This link provides information on the home's history. 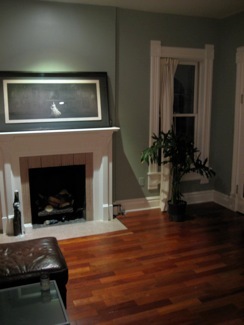 * Finished Douglas Fir wood floors and 11' high ceilings. 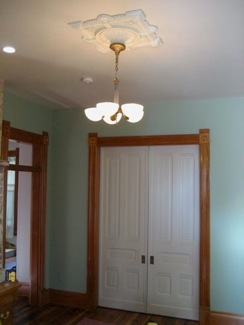 * Door trim reproduced exactly to match original interior details. Reproduced at the same mill. 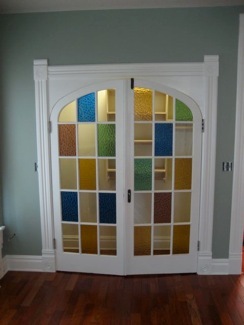 All doors feature transom light windows. * Recessed low-voltage halogen lighting throughout. 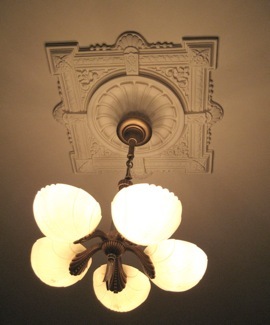 * Living & dining room have center hanging chandeliers with reproduction cast plaster medallions. * Door features include; East Lake hinges, doorknobs, and appropriate hardware. * Built-in buffet restored to it's original splendor. This piece is simply amazing. The cabinet top is a single piece of old growth Douglas Fir and is nearly 30" wide! It is rare by modern building practices. Livingroom fireplace. 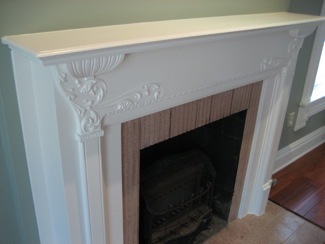 Mantle from Kentucky plantaion home. 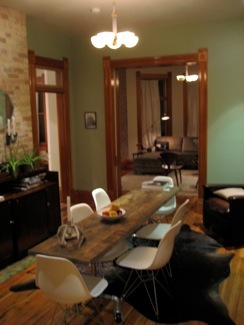 View of the dining area giong into the livingroom space. 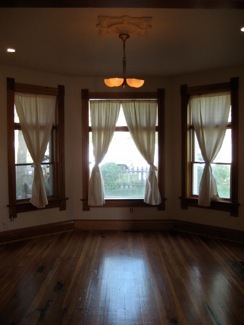 View of the livingroom windows and light fixture. 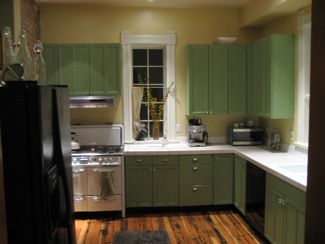 * Modern cabinetry, featuring 42" upper cabinets and large pantry. * Fruit wash sink with window view. 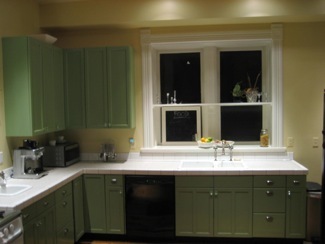 * Double basin primary sink with double window over sink for lots of light. * Kitchen has access to basement. 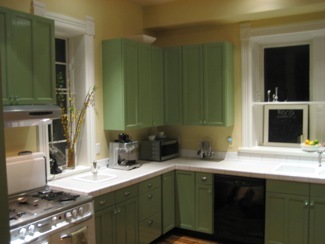 Kitchen, view of stove, windows, tile countertops, fruit sink, and cabinets. Kitchen. 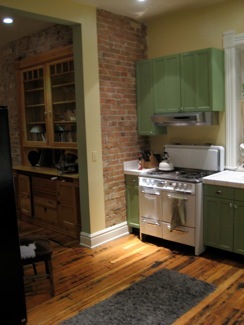 Fridge, stove, extra tall cabinets, vintage stove, and fruitwash sink. Kitchen view into dining area. Wedgewood gas stove and hutch. 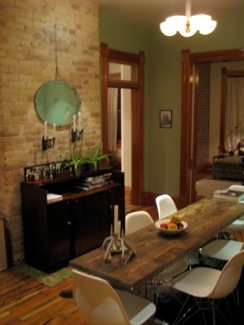 Nice exposed brick. 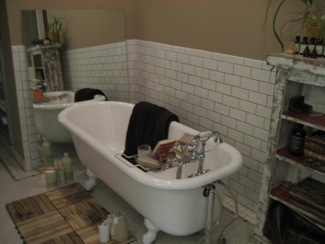 * Original claw foot tub. 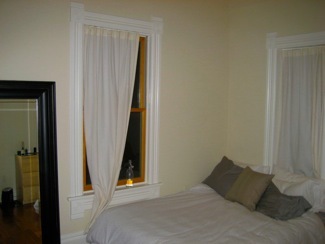 * Bay windows on 2 walls. * Historic hexagon ceramic tile. * Large enough lounge area to include small couch or loveseat. 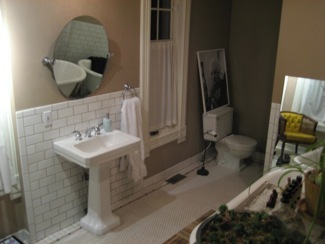 Main floor bathroom facing North. 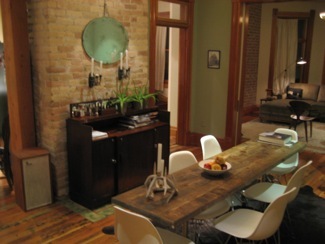 This area next to the sink is surrounded by windows and large enough for love seat. Tremendous amounts of daylight in this room. This clawfoot is unusual in that it is 5 1/2' long. Typical tubs are only 5'. This makes a real difference for taller folks and easier for couples to relax together having a soak. * Top of stairs features a unique breezeway. 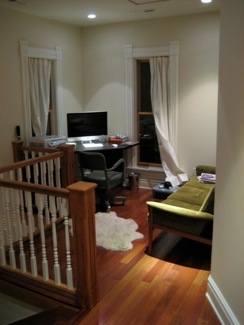 This space is perfect for a home office or meditation space. * Many windows provide great light. 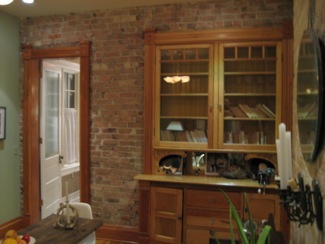 * Unique arch detail in hallway and recessed arch in wall which was original to the house and discovered during the remodel. 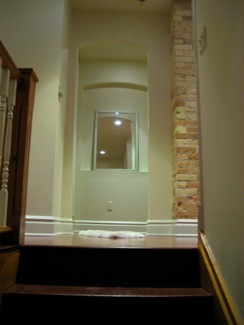 Walking up the stairs we see the archway elements and exposed brick. 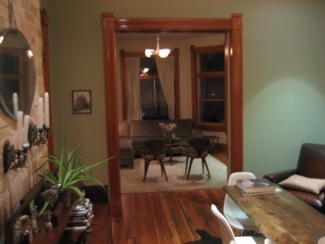 Breezeway with hardwoof floors and restored woodwork. Breezeway at top of stairs. 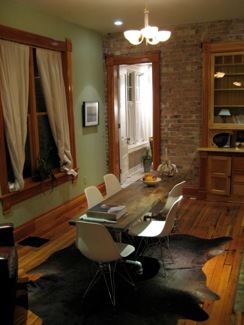 Perfect office space or meditation area. 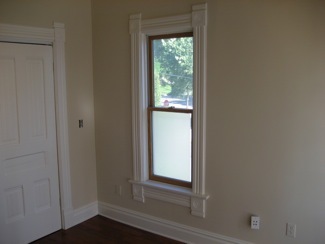 * Detailed trim and baseboard. * Tremendous natural lighting and views. 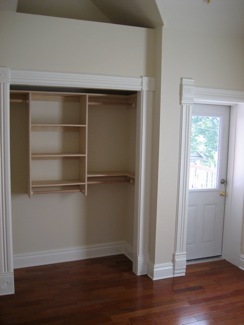 * Two bedrooms feature vaulted ceilings. 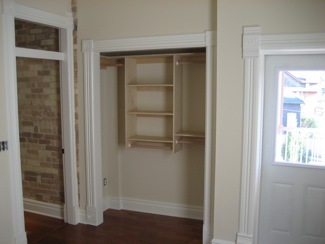 * Custom built closet configurations. * Master bedroom suite features decorative fireplace and mantle. 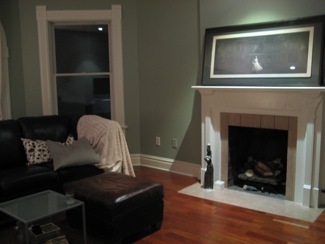 Another view of the master fireplace and East window. This SW bedroom features vaulted ceilings, french doors to balcony, and built out closet. * Gated front and side yards. * Grapevines and pear tree. 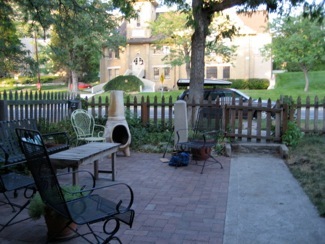 Front patio features view of the yellow brick church across the street and is shaded by trees most of the season. 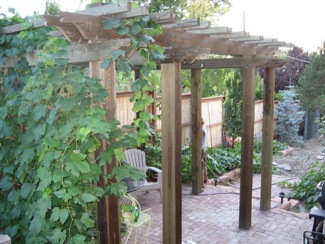 Pergola has matching architectural details similar to house trim. Table grave vines cover this pergola and are very tasty at harvest time. South facing exposure. 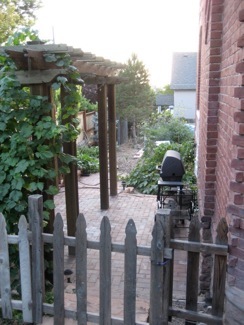 Pergola, bricks, grape vines, and access to parking pad. - Tenant responsible for basic landscaping and maintenance. - Landlord responsible for critical repairs and maintenance. - Maximum occupancy of 4 persons. 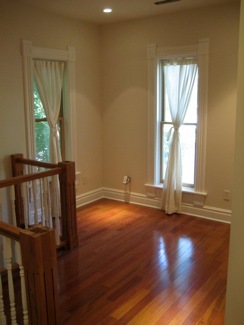 - Furnished and partially furnished options available. * Please note, applications will only be accepted for those that have viewed the property in person. 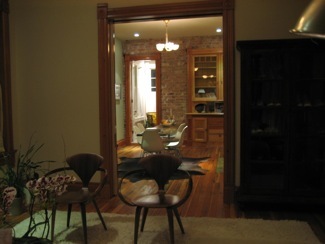 Livingroom facing dining and entry. Authentic medallion reporoduction in plaster. 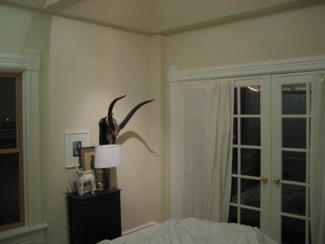 Matching medalions in livingroom and dining area. View of dining area to livingroom taken just from edge of kitchen. 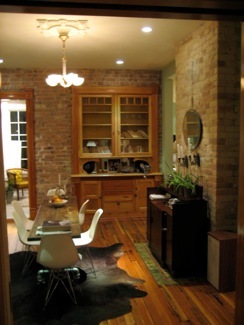 Note the exposed brick of the dining area fireplace. Livingroom empty through pocket door opening. 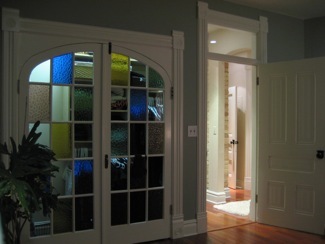 View of pocket doors. Features EastLake hardware. 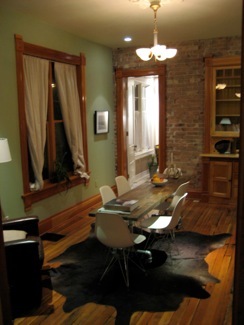 View of the dining area. The fireplace is hidden behind the bar. Dining facing West. 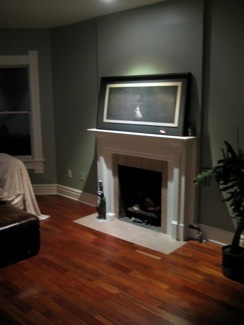 Hutch view with fireplace. Kitchen, North facing view. Nice windows. 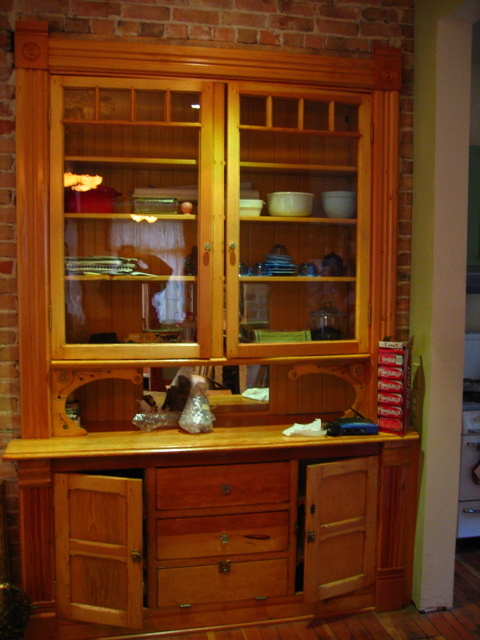 Original built-in hutch. Restoration on this took nearly a month. 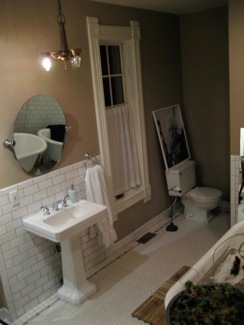 Main floor bath view from doorway. 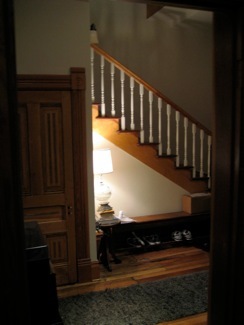 View of the entry and stairs from dining area. 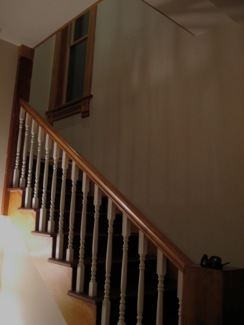 View up the stairs from entry. Pefect are for office, yoga, or meditation area. 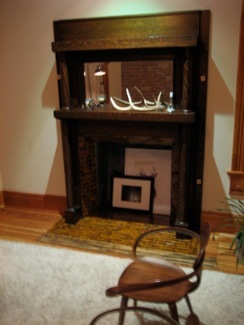 Beautiful shot of the fireplace in the master suite. 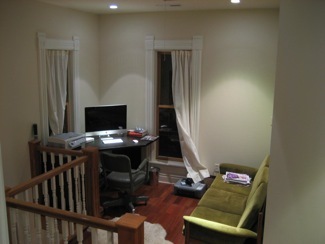 View of the master bedroom area facing South East. Master suite, looking directly East from the doorway. 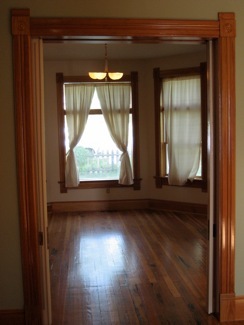 Hardwood floors in master bedroom. View of the fireplace mantle and West window. 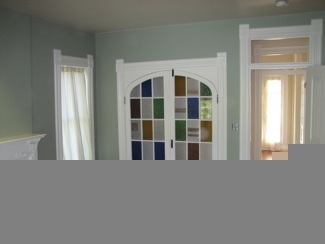 View of the closet and doorway for the master suite. View of master suite fireplace, window, closet, and doorway leading into the SW bedroom. Master suite fireplace and closet. These doors are not original to the house. Previous owner salvaged them from a church that was being torn down. Unsure of the origins although they are at least 100 years old. 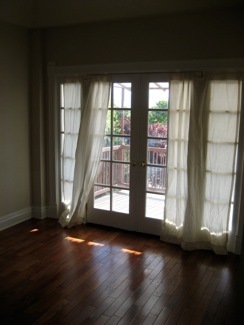 SW bedroom french doors to patio. 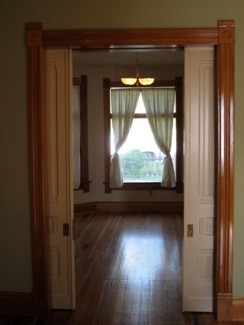 View of the closet door and window in SW bedroom. Upstairs balcony railing. This porch is covered. 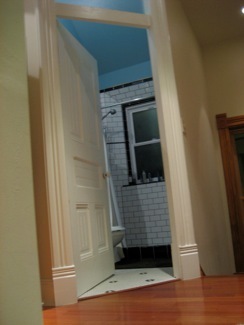 View of the upstairs bath tilework from breezeway. 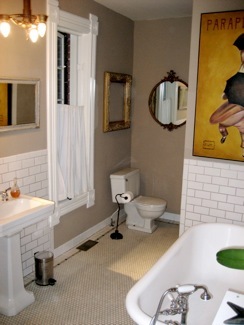 Bathroom features vaulted ceiling, dual shower heads, pedestal sink, and period tilework. 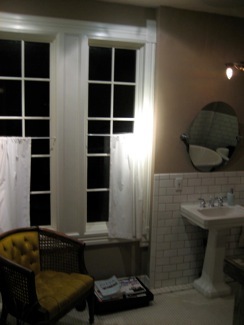 The shower window offers exellent views in the winder of Capitol Hill's West slope. 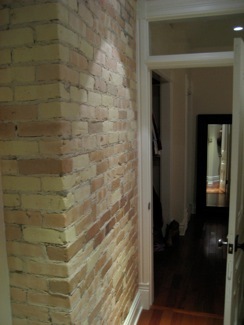 View of exposed brick approaching NW bedroom from the breezeway. 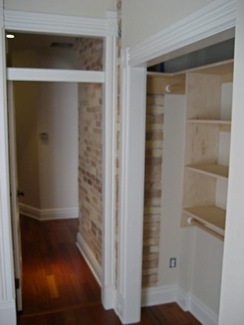 View of the NW bedroom closet, doorway to breezeway, and doorway to exterior patio. You can see vaulted ceilings with this view. This bedroom features vaulted ceiling, custom closet, 2 windows and a separate door for patio access. Flr 1: ____ sq. ft.
Flr 2: ____ sq. ft. This is the most amazing built in hutch painstakingly restored over several months. Elegant and stunning.